We’re all searching for the same thing. 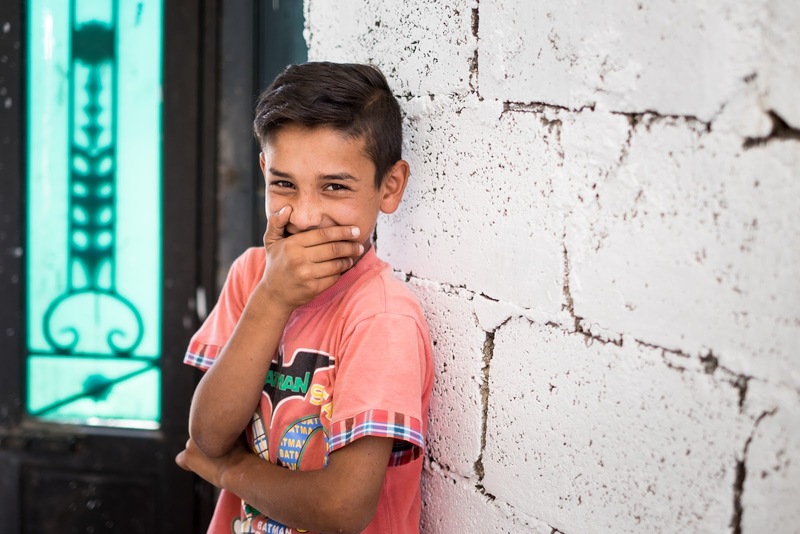 This past year, you came with us into communities all over Iraq and Syria. You helped remake home from the wreckage of rubble, from the ashes of war. You helped 500 farmers driven away from their fields by war return home. You provided equipment and tractors, seeds and mushrooms that grow into income. You helped them reclaim their livelihood, their connection to the earth. Remaking identity. You started 298 refugee-owned businesses for families stripped of possibility. You provided 3,874 coaching hours, establishing foundational business processes to ensure sustainability. Remaking opportunity. You provided 443,611 medical visits for patients in Iraq and Syria, bringing accessible healthcare to even the most remote, war-torn areas. You helped distribute 12,250 hygiene kits to women and children, and delivered much-needed equipment to 96 individuals with disabilities. And through you, 74 individuals received physical therapy. Remaking health. In Iraq, you helped students who lost their education and identity to ISIS as they become the next generation of tech leaders. You helped 921 of them graduate from WorkWell tech hubs last year. Remaking the future. You ensured that children traumatized by war have a safe, welcoming space for therapeutic play. You made possible 21,197 visits to the Friendly Center. Remaking childhood. For the displaced and the fleeing, for those struggling to make ends meet, you served 9,587,643 meals in Iraq and Syria and 51,000 bread packages in besieged areas in Syria. In Iraq, you distributed 1,391,250 liters of water in a hard-to-reach camp for the displaced. Remaking hope. In Old City Mosul, Iraq, you drilled 7 wells, bringing clean water to neighborhoods devastated by war. You provided income and connection for women crocheting hats and scarves, as you also gave 12,000 sets of warm clothes to Syrian families, providing insulation and protection against the winter. Remaking community. We remake home one meal, one checkup, one class, one new job at a time. We remake home by providing a safe place for children, warm clothes for families, clean water for whole communities. But it’s not just about reaching as many people as possible. It’s about going deep, digging in—transforming lives after war and helping families remake home. We have even bigger plans in store for 2019. Helping thousands across Syria and Iraq return home and rebuild their lives. In the year ahead, jobs are our #1 priority. We’ll drill even more wells, providing a clean water source in areas where the infrastructure is in ruins. And we’ll work together to heal cultural rifts across America by launching new Frontline Communities committed to waging peace together. Thank you for all you achieved with us and with our friends in Iraq and Syria in 2018. We can’t wait to remake home for even more families with you in 2019.